One of the handy features of Whatsapp is to see when a user was last seen online. It can help you know if they are available for a chat or not. On the other hand, it can also be a privacy issue for many users. What many people do not know is that they can Turn off Last Seen in Whatsapp. Learn how to do so with these simple steps. By default, this option will be set to Everyone. You can change it to show your last seen status to ‘My Contacts‘ or for none. Select ‘Nobody‘ for the Last Seen option. Now, nobody will be able to see when you were last seen on Whatsapp. 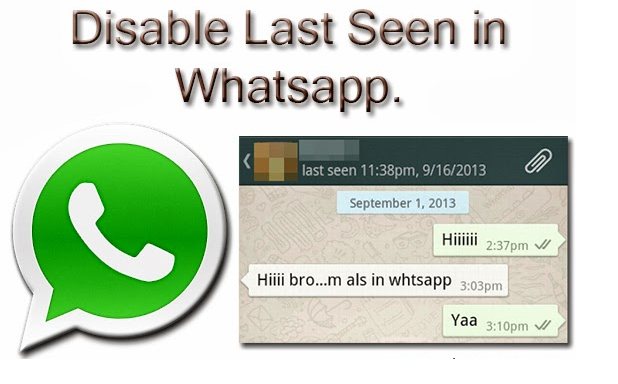 Note that if you set ‘Last seen‘ on Whatsapp to ‘Nobody‘, you will also not be able to see other user’s last seen. It is a two way thing. So, there, that is all there is to it! This is how you turn off last seen in Whatsapp. The process is similar for all Phones (Windows, iPhone and Android). If you consider this information helpful, share it with some who would like to know.